Tagged under miko (Mangaka), Idea Factory, Games, Series. Cardia Beckford lives day to day isolated from the world in a restricted, abandoned mansion in order to fulfil her promise to her father. Her body carries a deadly poison that rots or melts anything that her skin touches - causing the locals to call her "monster" so her father told her to stay away from people and falling in love, but he suddenly disappears. One day, her quiet solitude is interrupted when the Royal Guards break in to capture her. That's when she meets the chivalrous thief Arsène Lupin who helps her break free from the Royal Guards. Cardia then finds herself on a journey with Lupin to locate her father. 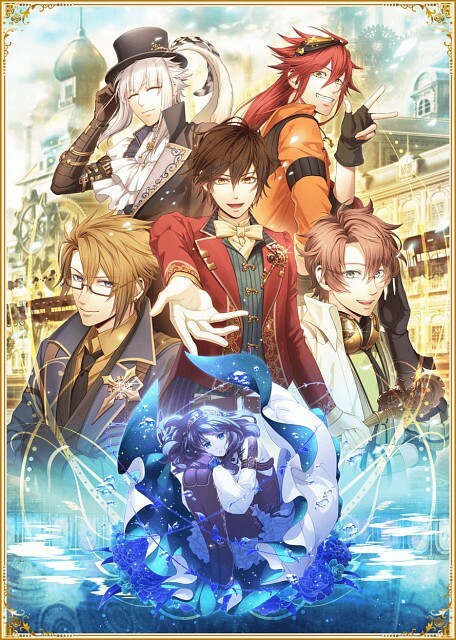 No feedback on Code: Realize.